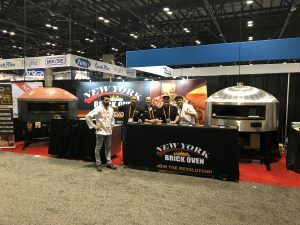 Revolving Brick Ovens NAFEM. The NAFEM Show A Total Success! 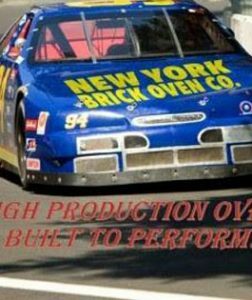 We where there show off our new Revolving Brick Oven Models. Making great connections and demonstrating amazing pizza cooking took the show by storm. This was our first time at the show and we had the pleasure of meeting many great dealers, designers, and reps. Their interest in our products was the main reason they came. But they also wanted to “Join The Revolution” (meet us in person) and where sold. Here is a photo of the team and some of our new models and ideas. As you know (or may not know) we will still be offering great prices and the option of installing our oven through a 36” door. That service is what really sets us apart from many others. No rigging, no taking down storefronts, just plain simple installation by our certified technicians. 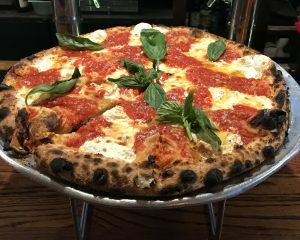 We are always updating to be the best and that is why our revolving brick ovens are a worldwide success. 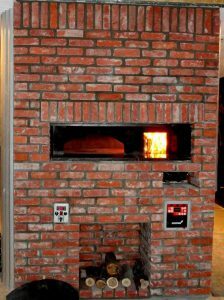 The World’s Best Revolving Brick Ovens! Our newest models and options are going to continue to take the industry by storm. We have added custom domes, custom tile choices, new burner systems, wood-fired models and the best warranty in the business and are going to be launching a ventless electric model soon. So call us today we will be glad to help you with your Revolving Brick Oven needs!